Machines for filling bottles of different diameters and sizes. 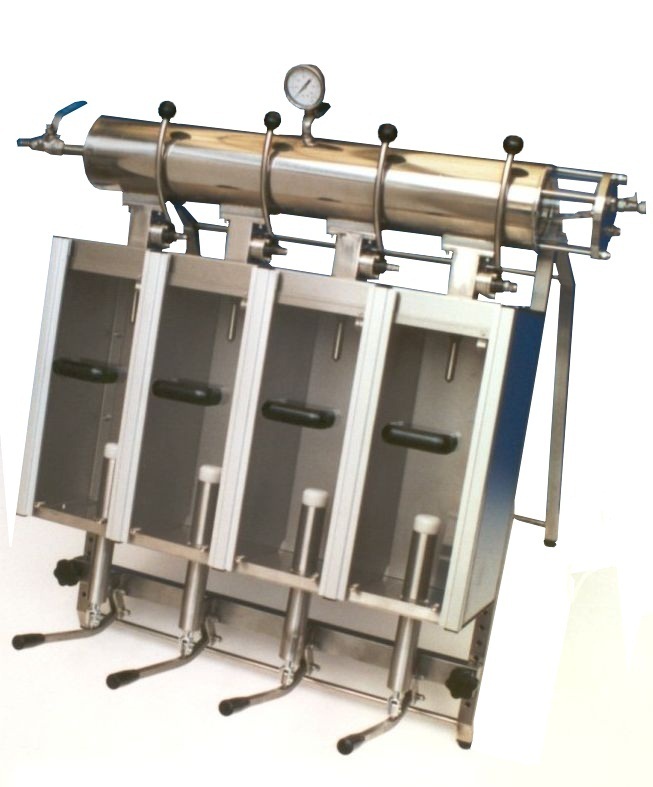 We offer high quality filling systems from a variety of well-known manufacturers. 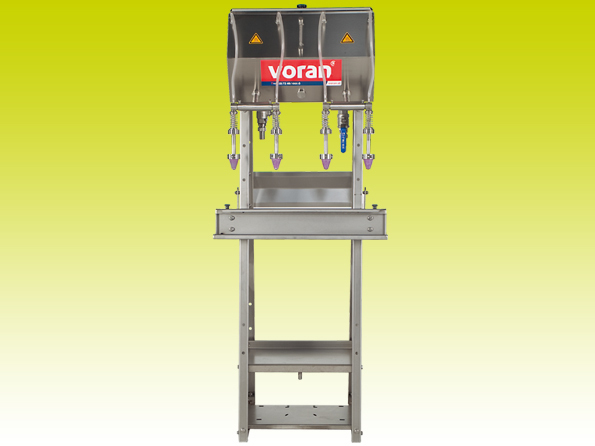 Machines with multiple positions for bottles are suitable for filling in bottles with different diameters and height. 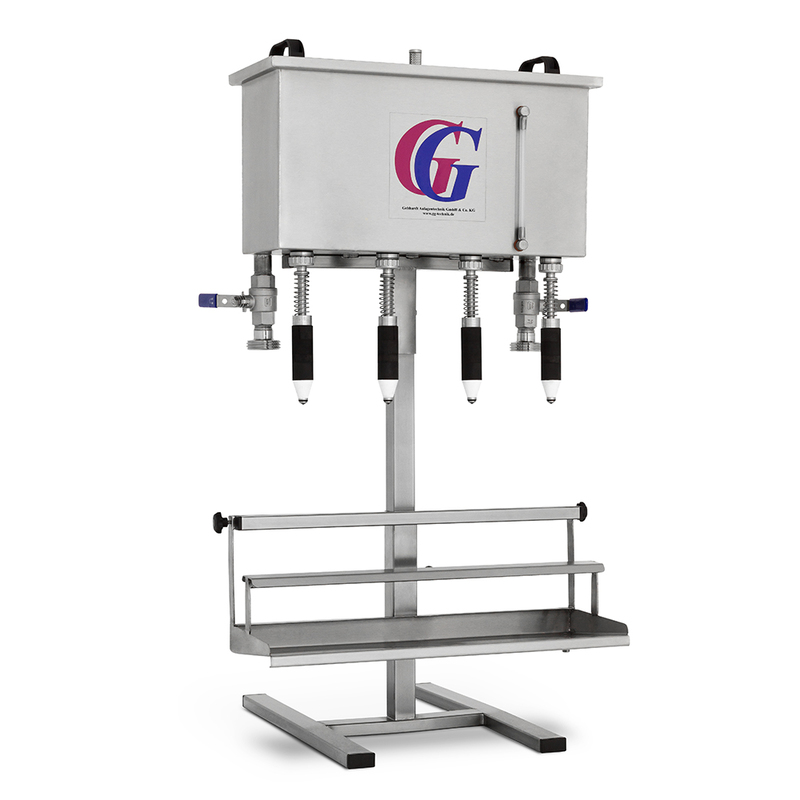 Stainless steel gravity filling system for 0,25 - 5 litre bottles. Machines have 2, 3, 4 or 6 filling valves. Productivity from 200 up to 600 l/h. 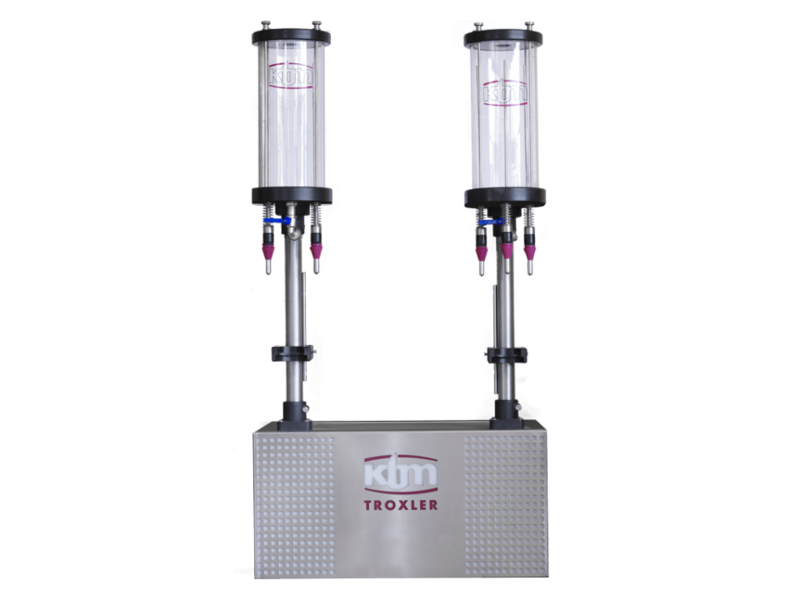 Filling systems with multiple valves for bottles with a diameter of 40-120 mm and height up to 500 mm. Available models with productivity from 300 up to 1000 litres per hour. Stainless steel filling system for hot filling of fruit and vegetable juice in 0.25 -5 l bottles, including stainless steel feed line buffer vessel. Available models with 4 or 6 positions for bottles. 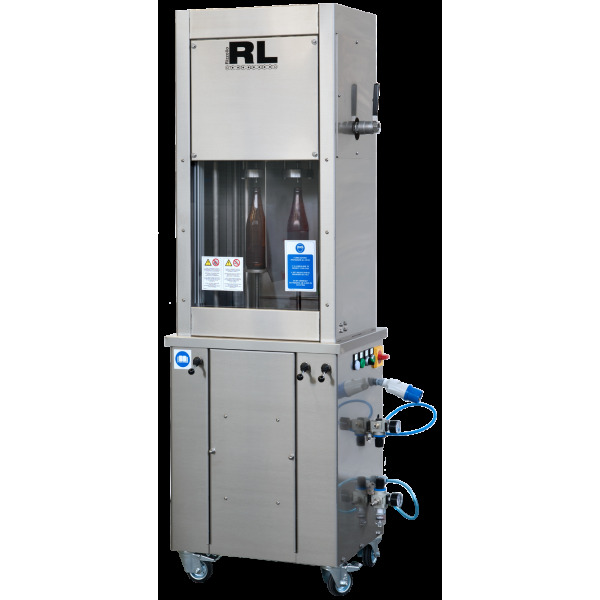 Semi automatic counter pressure filler for filling carbonated drinks like soft drinks, beer and sparkling wine into glass bottles. Maximum pressure 5 bars. Available models with 2, 4 or 6 valves. Triblock system that includes semi automatic counter pressure filler, bottle rinser and bottle capper. Filler is suitable for filling carbonated and not carbonated drinks like soft drinks, beer, cider and sparkling wine into glass bottles. Available models with 2, 4 or 6 places for bottles. Suitable for filling sparkling wine, beer, soft drinks and sparkling water in any type of glass bottles from 0,33 up to 1,5 litres, max. diameter 12 cm and max. height 33 cm. 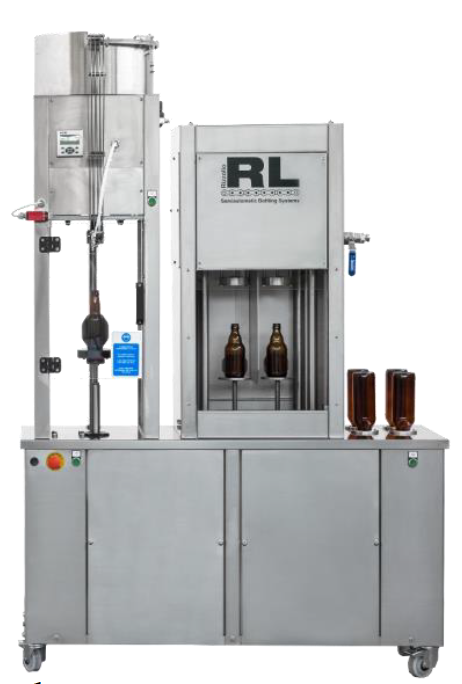 Productivity up to 100 - 200 bottles per hour, depending on the model.